First of all, I’d like to welcome you to another post about my retrogaming collection. 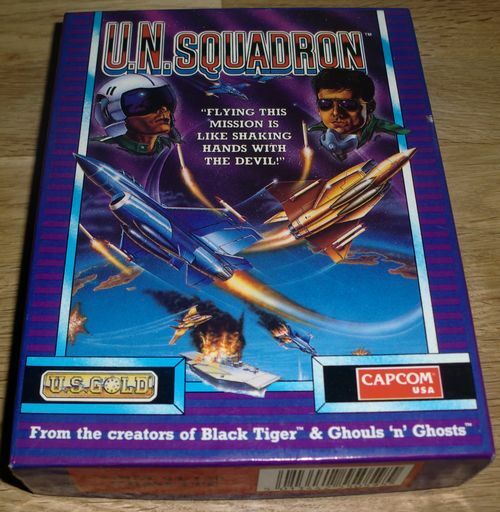 This time I’ve dug up an old classic from 1989 that is called U.N. Squadron. It was developed by Capcom and published by U.S. Gold, both well-known in the gaming industry. The version I’ve got was made for the Commodore 64, but you can get it for the Amiga, Amstrad CPC, Atari ST, SNES and ZX Spectrum as well. 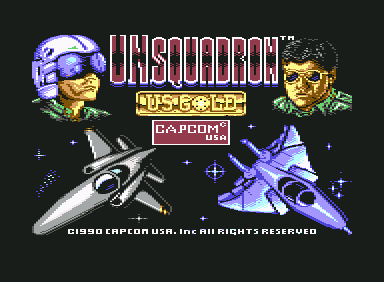 U.N. Squadron is a side-scrolling shoot’em up and thus similar to games like Project-X, Silkworm and R-Type. It has a decent plot as well and since I’ve got the manual right here, I thought I’d write it down for you. For many years, the countries of the Middle East have been in a state of economic and social ruin due to violent civil war. While the rest of the world demanded an end to the bloodshed, evil arms dealers had little trouble infiltrating each country’s volatile government with false promises of wealth and power. Now united, and with revolutionary new weapons, this corrupt alliance could dash all hopes for world peace in an instant. The only obstacle between harmony and anarchy is U.N. Squadron, a multi-national force, flying the latest aerial fire power. As in all shoot’em ups, your aim is to destroy the enemy at all costs. Quick reflexes and a well-trained trigger-finger will come in handy. 😉 As stated on the box of the game, “Flying this mission is like shaking hands with the Devil!”. Before you start playing, you’ll have to select a character. There are three people to choose from, each with different pros and cons. First one out is Mickey Simon from the USA. He’s a former American Navy pilot and flies an F-14 Tomcat. He excels in aerial combat and has a wide range of attack possibilities. Number two is Greg Gates from Denmark. He flies an A-10 Thunderbolt and used to earn his living rescuing hostages in Europe. His strength lies in ground combat. Last, but not least, is Shin Kazama from Japan. He flies an F-20 Tigershark, which is known for its high speed and destructive power. This guy is good for both ground and aerial attacks. When you’ve selected your character, you’ll be taken to a store where you can buy special weapons, shields or extra energy. There is a lot to choose from, so whether you fancy a gun pod, a 16-way shot or napalm, you’ll probably find something to suit your taste. The game itself is quite hectic and the action is plentiful. There is a lot happening on the screen at once, so it can be a bit difficult to cope from time to time. This is true for most shoot’em ups though, so the rule is as always that memorization and practice is the key to winning the game. 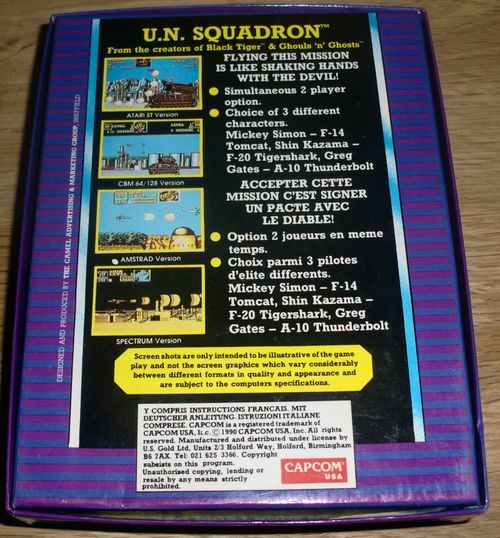 U.N. Squadron is a cool shooter in my opinion and very entertaining. 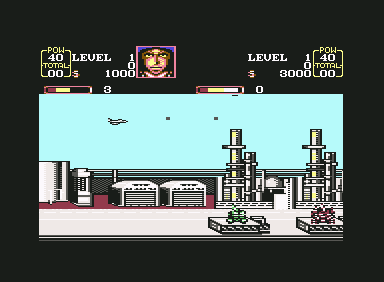 It sports some neat graphics and engaging music to boot. Sadly, I don’t have a real Commodore 64 anymore to play this game on, but there is of course an Amiga version available. I got this game some time in the 90’s and it has been with me since. My version is in excellent condition and I aim to keep it that way. 😉 I don’t know if the tape still works though, but it looks the same as it did many years ago. 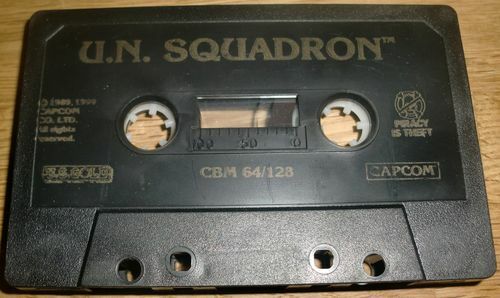 Anyone else remember U.N. Squadron? If yes, what do you think of the game? Would love to hear your opinion about it. 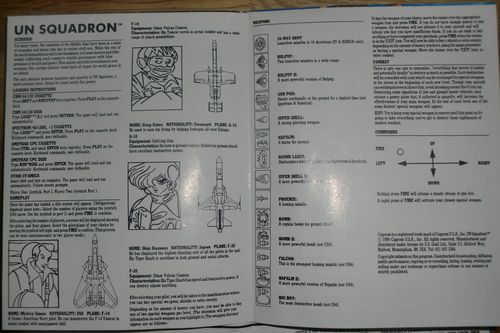 You know, judging from the images inside of the manual it looks like this game was based off of an anime series, but they changed the name of the game when they brought translated it. I could be wrong. Oh my… A cassette! 🙂 I still have some, but with music (metal) from the old times. The ones I used for Atari dissapeard a decade ago… Time flies. Now I feel old. 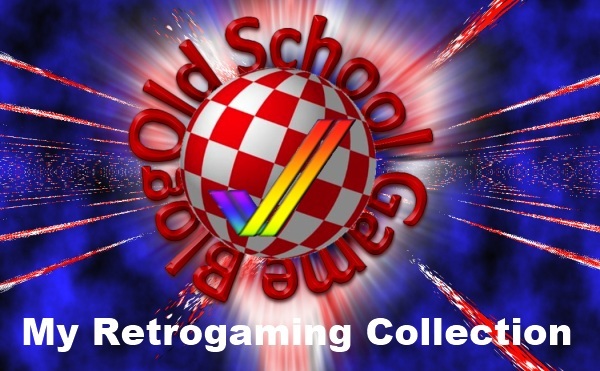 😉 Hehe..
there many retrogames for amiga and commondore 64 to downlaod ! very nice blogg here too ! Many thanks for commenting. 🙂 I’ll check out your blog ASAP. Yeah, it does look kinda anime with the face at the top. I agree with TheHeretic. Flight sims and 8-bit gaming had a weird relationship. The power simply wasn’t there.